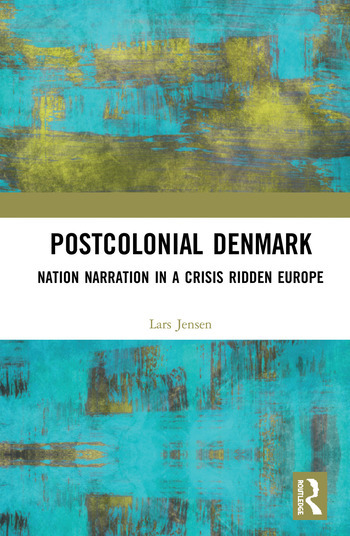 This book adopts a global approach to analysing Danish nationhood in the current context of a Europe paralysed by crises. Focusing on the global strands which have produced understandings of national selfhood as a consequence of a series of historical and contemporary global encounters, it calls for the production of narratives which better capture how European nations, including Denmark, are shaped by narratives that cannot be understood in (national) isolation, but are contingent on ideas about the nation’s globality. In historical terms, this entails examining how colonialism shaped national self-perceptions; in a contemporary context, it requires looking at colonialism’s unfinished business. The first chapters revisits colonialism throughout the Danish empire. In the second section, the book revisits Danish (post-1945) attempts to restage global interventions and military intervention since 2000, and considers how migration since 1965 has led to a profound questioning of relationships with the non-European world – and increasingly with Europe itself. Postcolonial Denmark situates Denmark at the centre of a number of current and ever more urgent challenges facing Europe. As such, it will appeal to scholars of sociology, political science and cultural studies with interests in Europe, the Nordic region through a postcolonial, a whiteness and a decolonial inspired approach. Lars Jensen is Associate Professor at Cultural Encounters, Department of Communication and Arts, Roskilde University. He is the author of Beyond Britain. Stuart Hall and the Postcolonializing of Anglophone Cultural Studies, and main editor of Postcolonial Europe: Comparative Reflections after the Empires. He has co-edited two volumes on the "Postcolonial Nordic", Crisis in the Nordic Nations and Beyond. At the Intersection of Environment, Finance and Multiculturalism, and Whiteness and Postcolonialism in the Nordic Region. Exceptionalism, Migrant Others and National Identities. He is also co-editor of A Historical Companion to Postcolonial Literatures Continental Europe and its Empires.